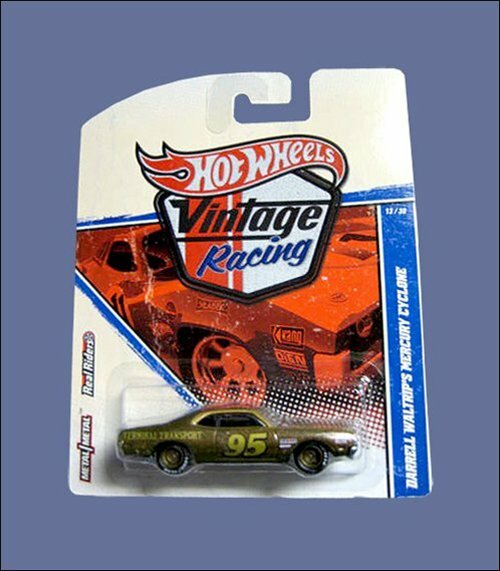 The latest addition to the Hot Wheels Vintage Racing series is Darrell Waltrip's #95 Mercury Cyclone. DW raced this car in his very first Cup race in Talladega in 1972. The actual car is on display in his Museum in Harrisburg, NC.